David West has over 25 years retail management and consulting experience. He has worked in Local Government, with a Board of Management and with private enterprise including his own small business. David has provided advice and support for businesses and Councils in Australia, New Zealand, Singapore, Hong Kong, United States and United Kingdom. David started his mainstreet management career as the manager of Rundle Mall in the Adelaide CBD following ten years managing and marketing large regional shopping centres. 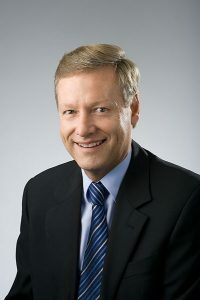 He has worked with mainstreets, towns and city centres all over Australia, New Zealand and the United Kingdom, in addition to speaking at numerous mainstreet and town centre conferences. He has applied his ‘hands-on’ management expertise and experience to mainstreets to improve the quality of the customer experience and the local business environment. David demonstrates practical techniques to improve and transform mainstreets through effective management and measurement. David tackles some of the hard issues like developing the business mix, delivering effective retail marketing campaigns and engaging business and property owners. Many of these techniques are included in his Mainstreet Management: Successful Retail Strategies book.